Leading Service Provider of Data Integration Services. Our service range also comprises of Data Bug Patrol Services, Oracle Application Services and DBA Services. Oracle Golden Gate is acquired by oracle to provide best of breed data integration services and manage real-time data integration, through a comprehensive data integration platform. The database, and os administration experts - data patrol, extend their services to oracle Golden Gate implementation and oracle Golden Gate support also. Oracle Golden Gate products provide tangible benefits across the enterprise by way of fastest data integration and improved business intelligence. It comes under "Data Integration Services"
Our knowledge and experience in implementing and maintaining oracle products has helped our clients reduce their mission critical applications’ exposure to risk. With our oracle Golden Gate support, the low cost, and high reliability of our services are now extended to your business intelligence tasks also. 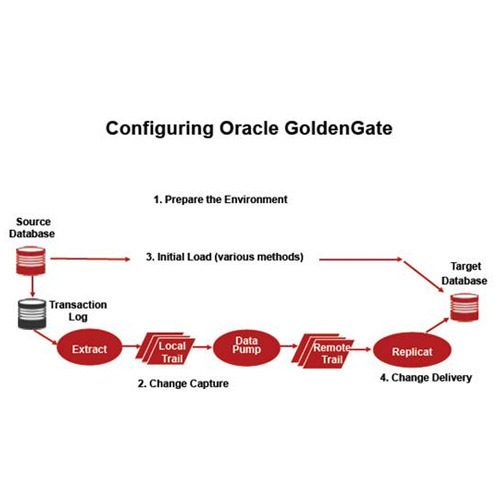 We offer flexible and scalable oracle Golden Gate service options based on your data integration needs. Call us today for variety of on-site or offshore data integration services.